Is Sweden Preparing For A “Civil War”? Browse: Home / Is Sweden Preparing For A “Civil War”? Late last year there were calls for the Swedish military to tackle the country’s growing inner city “no-go” zones. Now there are signs that the Swedish government may be about to act on those calls. As is usual though, the corporate media may have got things arse about face. With many Swedish mainstream commentators citing Russia as the source of the impending threat. When in fact, it may be much closer to home. The Swedish government may be using a supposed threat from Russia as a pretext as it prepares to deploy to Sweden’s troubled, and growing, no-go zones. Ed. Swedish PM: We could "DEPLOY THE ARMY" to tackle gang criminality in Sweden. This is a serious admission that something is very wrong in Sweden. “This is the new Sweden; the new, exciting dynamic, multicultural paradise that so many here in this assembly … have fought to create for so many years,” he said sarcastically. The Swedish government just talked about the possibility of putting the army on the streets to deal with the no-go zone criminal gangs. To sum up, the Swedish government is preparing for a destabilizing event, while the mainstream media continues to use Russia as the scapegoat. Meanwhile, high ranking government officials in Sweden have echoed in unity that military intervention in dozens of no-go zones across the country is a high probability. At the same time, the government is preparing to hand out millions of survival manuals to their citizens indicating a destabilizing event is nearing. 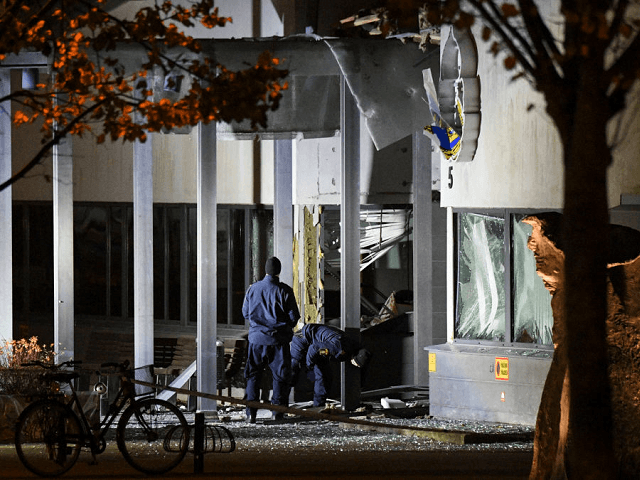 Late on Wednesday we reported of even more chaos in Sweden when a hand grenade was tossed at a police station in Malmo, resulting in a “huge explosion” according to local media reports. And lastly, while the three biggest political parties in Sweden urge for a military intervention in the no-go zones, the Swedish civil contingencies agency is frantically trying to print millions of survival manuals to protect the citizens for what appears to be a turbulent future in 2018. The leaders for all 3 biggest political parties in Sweden have today talked about war in parliament. Specifically about a war with the criminal gangs from the no go zones. This comes shortly after the government sent out leaflets to 4.7 million households of prepping for war.